FunGlass team, led by prof. Dušan Galusek, DrSc., succeeded as the first among the applicants in the Slovak Republic in receiving complementary funding from the Operational program of the Ministry of Education of the Slovak Republic to the program Horizon 2020, with the project Center for Functional and Surfaced Functionalized Glass known as CEGLASS. 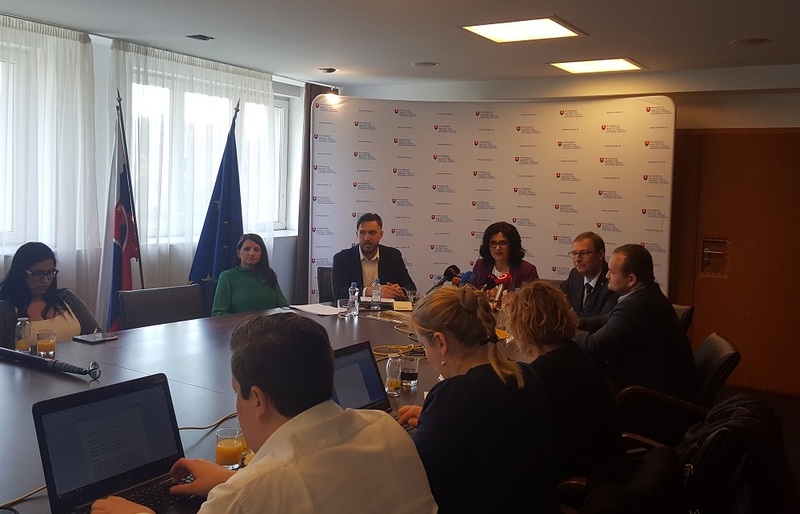 The contract for 10 million Eur was solemnly signed on April 4th 2019 by the Research Agency of the Slovak Republic represented by Minister of Education, Science, Research and Sport JUDr. Mgr. Martina Lubyová, Phd. and Ing. Stanislav Sipko, and the Alexander Dubcek University of Trencin represented by the University’s rector, associate prof. Jozef Habánik, PhD. and the Center’s director prof. Dušan Galusek, DrSc. Procurement of the advanced modern research infrastructure which should ensure highly qualified scientific activities for independent research and development in the Center. Necessary reconstructions related to the new infrastructure installations and to create suitable professional working environment for the researchers. Financing of the scientific research activities according to RIS3 Strategy of the Slovak Republic. Enhancement of the highly professional, qualified personnel capacities of the Center. Although, we are going to face to a significant challenge during the implementation phase of the project, especially during the reconstruction period, the result of the project should boost the FunGlass Center to the internationally accepted teaming center with advanced, modern infrastructure and highly qualified research capacities.